The Russian man was waiting for someone he was supposed to meet in a park in the Budapest area. Neither his appearance nor his behavior were out of place. As he walked among the trees, everything looked as ordinary as possible. Some passers-by were enjoying the scenery while a couple kissing nearby were enjoying each other. The temperature seemed just right, it was a great time to get out of town for a while. At first, the Russian seemed unfazed when two random strangers approached him. One of the strangers, however, firmly stepped in front of him and showed him a badge: the badge of the Military National Security Service (KNBSZ). KNBSZ is the secret service that deals with military counter-intelligence in Hungary and, according to Direkt36’s information, the one that has been pursuing several Russian spies in recent years – despite the Kremlin-friendly foreign policy of the Orban government. There was a look of shock on the face of the Russian man when his cover was blown in the park: he did not believe that this could really happen to him in Hungary in 2016. The operation that had been in the works for long months finally came to its climax. KNBSZ did not leave it to chance when trying to expose the Russian spy. None of the park’s inhabitants, neither the seemingly random passers-by nor the kissing lovers were who they seemed to be. They all worked for the Hungarian secret services: they were the so-called surveillants. Their target was also not an innocent Russian tourist: he was an undercover intelligence officer working for the Russian military secret service, known as the GRU. 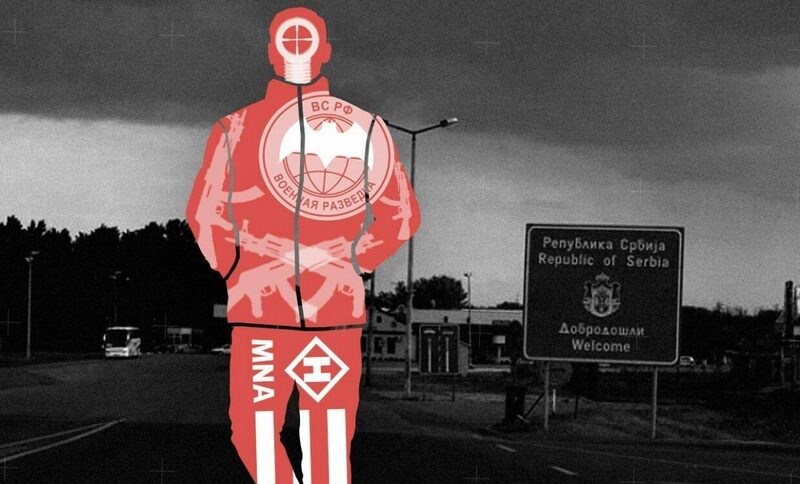 Officially, the Russian man was working as a diplomat in Budapest but in reality he was involved in the arming of the neo-Nazi paramilitary group called the Hungarian National Front (MNA) and allegedly in direct contact with criminal organizations in the Balkans. The Russian did not go to the park because he wanted fresh air and tranquility, he was preparing for a secret operational meeting away from the heavy traffic and CCTV cameras of Budapest. The park scene was described to Direkt36 by two sources with adequate knowledge of the situation. Also, a third source working for a NATO member state’s government disclosed additional details of the international background of the operation and the connections of the spy who was exposed. Because of the sensitivity of the subject, all three spoke on condition of anonymity. The park scene was not unique at all. Since 2010, about ten similar cases of exposing and expelling Russian spies from Hungary were mentioned at least briefly in the National Security Committee of the Hungarian Parliament, according to sources familiar with the work of the committee. So-called „quiet expulsions” were conducted in each case, which means that the government had never informed the public of the situation. KNBSZ director general Janos Beres responded to our request by saying that he has no authority to make comments. Hungary’s Ministry of Defence, overseeing KNBSZ, did not respond to our multiple inquiries at all. On December 1, 2016, the Hungarian Military National Security Service (KNBSZ) informed members of parliament about the exposure of the GRU intelligence officer while presenting its annual report before the National Security Committee of the Hungarian Parliament. This committee is the only non-governmental forum that has power, albeit limited, to hold secret services accountable. The MPs were impressed with the detailed presentation on the operation. One of them, opposition MP Bernadett Szel said that „it was a very powerful presentation”. Asking for anonymity due to the sensitivity of the subject, two sources familiar with the work of the committee told us that the December 2016 meeting was the last time that Hungarian secret services reported having exposed and quietly expelled Russian spies from Hungary. During the Orban governments – since 2010 –, approximately ten similar cases (including this one) was mentioned before the committee. With quiet expulsions, first the domestic security services somehow expose the foreign intelligence officer, then the spy leaves the country for good either at the command of his or her superiors, or at the strong request of the host country’s counter-intelligence. In such cases, the spy affair is not formally recognized at a diplomatic level, although the foreign ministries of the two countries may receive a confidential briefing about the events. An essential element of quiet expulsions (as the name suggests) is that these cases are not disclosed to the public. This is the reason why Minister of Foreign Affairs Peter Szijjarto said that no Russian diplomats were expelled from Hungary when Hungarian news site Index asked him in 2016. What makes the Hungarian practice strange compared to other countries of the former Eastern bloc is that there are no official expulsions, only quiet ones. A Hungarian source from the national security committee said that quiet expulsions „could be painful, too”, but this is also a way for the Hungarian government to avoid an open confrontation with Moscow. However, only in recent weeks has the nabbing of several Russian spies been made public in other countries of the region. In November, Austria announced that one of the colonels of the Austrian army had been selling military secrets to Russia since the ’90s. A few weeks later, Slovakia expelled a Russian diplomat – an undercover GRU agent – who had been spying against Slovakia and NATO. At the beginning of December, Czech counter-intelligence announced that they had, also through quiet expulsions, exposed a Russian spy network earlier during the year and completely paralyzed their activities. Poland and the Baltic states are catching Russian spies (both military and civilian spies) much more frequently and are proud to inform the public. Since 2010, the only official expulsion in Hungary took place in the spring of 2018, when, responding to the Skripal poisoning, Budapest joined the UK’s initiative and expelled a GRU-affiliated Russian diplomat. However, Direkt36 found out about this rare incident that in reality Budapest and Moscow colluded in the background and conducted the mutual bans of each other’s diplomats in a way to cause the least possible damage to Russian-Hungarian relations. The Russian diplomat chosen to be expelled from Hungary was about to complete his posting and was already preparing to go home. The quiet Hungarian expulsions typically have the disadvantage that silence can even embolden Russian spying activity. “Why does Russian intelligence love Budapest so much? That is because the risk here is the lowest if they make mistakes or get exposed. Russia’s prestige will not be hurt because the Hungarian government keeps everything under the table, and quiet expulsions are a good example of that”, Andras Racz, Political Capital Institute’s expert on security issues told Direkt36. According to Racz, however, there is a very important difference between the attitudes of the Hungarian security community and the Hungarian political leadership towards the threat posed by Russian intelligence. Besides Racz, numerous sources dealing with national security issues on different levels agreed unanimously while talking with Direkt36 that the KNBSZ is doing a serious job of tackling Russian intelligence. However, it is always up to the narrow political elite to decide how spying affairs should be handled on a diplomatic level and in public. The operation of 2016, as well as the previous other unofficial and secret expulsions, seem to contradict the Kremlin-friendly foreign policy of the Orban government. Based on our background conversations regarding the topic, these operations were largely not initiated by the Hungarian government. KNBSZ’s leadership (director general Jozsef Kovacs and his successor, Janos Beres) and staff are committed to Western values ​and the Western alliance system, both professionally and in personal worldview. Many of them participated in rotations of NATO missions in Kosovo or Afghanistan serving with colleagues from abroad or attending NATO training, some even working for NATO’s European command. The main reason why the KNBSZ is stepping up against Russian intelligence (despite the foreign policy direction of the Hungarian government) is the country’s NATO membership and KNBSZ’s strong attachment to NATO’s command structure. „In the case of KNBSZ, there are very specific NATO requests, concerning, for example, Russia, and those requests are difficult to ignore. 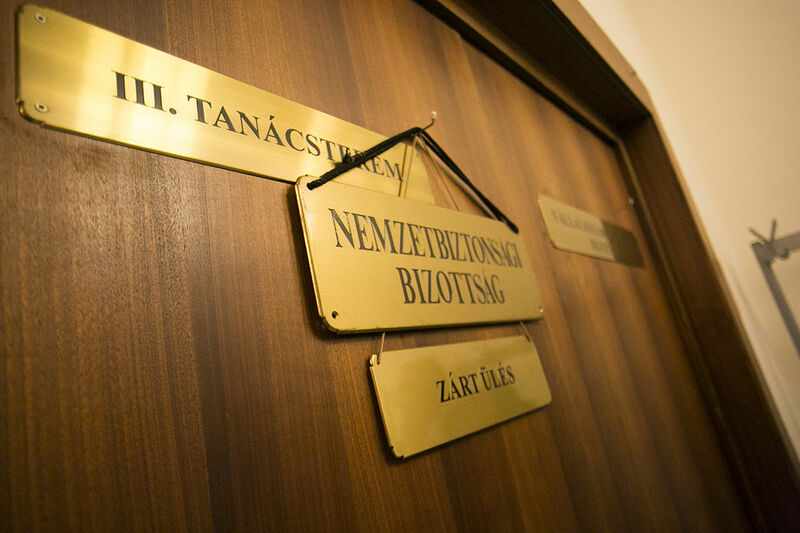 In the case of the Constitutional Protection Office (AH, the Hungarian civilian counter-intelligence), which is overseen by the Ministry of Interior, this transparency is lacking. I do not even remember, for example, when AH presented their last quiet expulsion of Russian spies,” said a source familiar with the work of the national security committee. In the parliament’s national security committee, it had been mentioned a few times in recent years that Russian spying in Hungary is not mainly targeted at Hungary and Hungarian actors, but mostly at third countries and actors. For example, the Russian spy who was busted by the KNBSZ officers in the park near Budapest, did not trigger the response of NATO secret services because of activities connected to Hungary. In October 2016, the name of Bőny, a small village in Western Hungary made headlines all around the world after an old neo-Nazi leader was involved in a shoot-out with Hungarian police forces. A Hungarian detective was killed as a result of the shoot-out. Index found out that accused murderer Istvan Gyorkos and his far-right paramilitary organization, called the Hungarian National Front (MNA), had been in contact with the GRU for years. Russian military intelligence officers working under diplomatic cover at the Russian Embassy in Budapest gave military training to Hungarian neo-Nazis. These drills were disguised as airsoft games – war exercises carried out with training equipment that resembled real weapons. These diplomats were working with the Russian military attache in Budapest. The Russians engaged with the neo-Nazis so openly that sometimes they even met them dressed up in Russian military uniforms, said one of Direkt36’s sources familiar with the work of the national security committee. The GRU intelligence officer that KNBSZ exposed in the park in 2016 not only financed their operations but also supplied weapons and training, a source working for a NATO country’s government told Direkt36 on condition of not disclosing their name due to the sensitivity of the topic. ”The Russians’ ambition for subversion was not Hungary-specific. Since 2015-2016, the Russians had very similar operations throughout the entire Balkans region,” for example the coup attempt in Montenegro in autumn 2016, explained the official working for a NATO country. The Russian spy who was exposed in the park was also involved in GRU operations in the Balkans. He was in touch with illegal arms traders and other groups of organized crime – including Serbian groups – in the Balkans. According to our foreign source, it was primarily because of his contribution to the destabilization of Balkan countries that the Russian diplomat was quietly expelled from Hungary. This was confirmed by a source familiar with the work of the Hungarian national security committee. “It was the MNA-connection that brought him attention, but the secret operation to force him out of the country was not specifically related to it,” the source said. “For Russian intelligence, Budapest and the Russian Embassy are important primarily because of their role in logistics and transit. This is because the country’s geographic location makes Hungary a gateway to both the West and the Carpathian Basin. A gateway to both Ukraine and Romania, countries important to the United States, and to the Balkans,” Zsolt Molnar, former Socialist chair of the national security committee told Direkt36. According to a long-serving security officer of AH, Hungary is a target country only to a lesser extent for Russian secret services. It is more of an operational and logistics base, where they organize their clandestine secret service operations for the Balkans. “The role of Hungary for Russian intelligence is that this is the place where they have their messengers, operations executive staff, safe houses, or car rentals. It is much more practical to manage these in Hungary, inside the Schengen area, than in the Balkans. There is no way to know exactly how many of these are organized inside Hungary, but the volume is very high,” the former security officer explained. Another retired Hungarian counter-intelligence officer reported similar things. The source previously participated in international cooperations and had to work (typically on counter-terrorism cases) with Russian security officers too sometimes. “When Hungarian services had to cooperate with them, the Russians’ agents often did not fly in from Moscow, but from Belgrade” said the source who, based on his own experience, believes that today “Budapest is one of the messenger or courier centers of Russian secret services”. There is a historic prelude to the GRU, which is practically unchanged in structure since Soviet times, using Hungary primarily in the direction of the Balkans. ”Traditionally Hungary served as a gateway to the Balkans. Within the Warsaw Pact, the Soviet Union had entrusted the Hungarians to conduct military espionage on Yugoslavia. After 1999, Hungary also became one of NATO’s Balkans specialists,” Attila Demko explained to Direkt36. Demko led the Department of Strategic Analysis in the Hungarian Ministry of Defense until the beginning of 2018. Neighbors of Hungary and multiple non-Moscow friendly countries in the Balkans are also worried about the new nuclear power plant that Rosatom is building at Paks. A colony of 5,000-6,000 Russians are settling in Paks to execute the project and later operate the power plant. It is feared that the colony in Paks is not only made up of engineers and scientists, but also of Russian intelligence agents that will not spy on Hungary primarily, but on its neighbors, a diplomat representing a neighboring country explained to Direkt36. A former senior counter-intelligence officer of AH, Ferenc Katrein agreed: “Hungary is not prepared for the fact that thousands of Russian citizens will soon be settled in the country without any proper security screening”. András Szabó contributed to the reporting. This story is the part of the series supported by the first EU-financed fund for investigative journalism IJ4EU and jointly developed by Re:Baltica, Postimees, Direkt36, 15min.lt and Respekt.cz. Financing was given as a result of the open call, managed by International Press Institute. English, Russian and Latvian versions of this article are also available on Re:Baltica.